Making decisions about hiring an apartment, you can contact a real estate Agency, and you can independently to find an apartment and sign a lease. Independent preparation of documents requires attention and certain knowledge in the field of rental real estate. As a rule, the cost of mediation services will cost the cost of the monthly rents. If you have to rent an apartment, and the process of conclusion of the lease is known, it is possible to manage and without participation of the specialist in the field of real estate. The apartment owner should be required to provide a full package of documents on the property. Title and right supporting documents on the apartment, will help to establish the presence of the legitimate rights of the lessor (the person handing over the apartment). For legal documents include: the agreement of purchase and sale, donation, documents on privatization, certificate of inheritance, court decision, contract of share participation in construction, contract rents, etc. the document confirming the right of ownership of the apartment – a certificate of ownership. If the apartment is a jointly acquired property of spouses, it is better to take consent of the spouse to transfer property to rent, in order to avoid problems in the future. 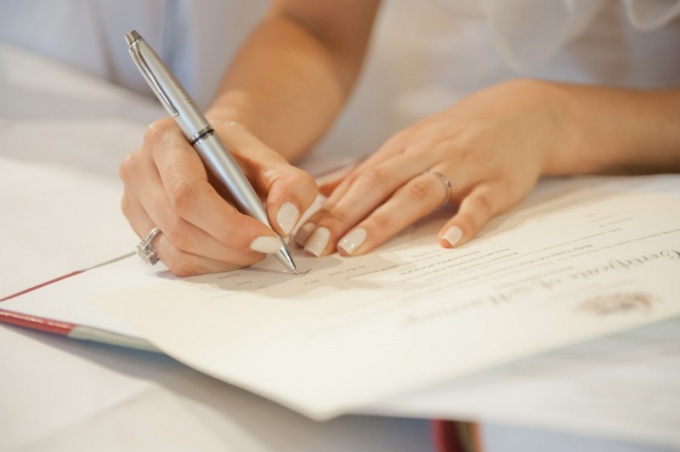 The consent can be issued in a simple written form or to make a contract negotiation the inscription, it is important to obtain formal approval of the spouse. Ask the landlord to provide a receipt for payment of utility bills, not to be left without communication services, electricity, etc. to Solve issues in the process of cooperation is always more difficult than to negotiate prior to signing the contract. If the apartment is rent by a person acting under a power of attorney, then it must be a notarized power of attorney with the list of actions that can make the attorney in respect of the apartment and need to find a proxy item regarding the possibility of receiving rental payments from the tenant. If owner requests a Deposit or advance payment, you'll first need to check the documents in the apartment and only after that, to make a contract of Deposit or advance payment. The lease is in writing only if the contract term is longer than one year, the contract is subject to obligatory state registration. The contract should make all the information on which the parties have agreed (who and what repair does, how to pay rent and utilities, when possible rent increase, the possibility of transfer of premises in the sublease, etc.). From you as a tenant of the apartment requires only a passport and the availability of funds. If you are not confident in their knowledge in the field of real estate and documents on it, it would be cheaper to go if not to the realtor, the lawyer for advice and drafting of the contract. The contract mandatory, signed the act of acceptance-transfer of the apartment. If payment of rent the landlord must obtain a receipt or other document confirming entering of lease payment.